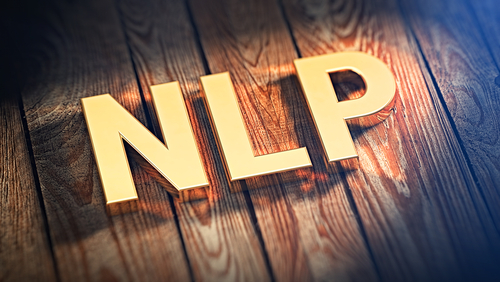 What is NLP? Neurolinguistic Programming (NLP) is the practice of understanding how people organise their thinking, feeling, language, and behaviour to produce the personality and perspective that results. NLP provides people with a methodology to model outstanding performances achieved by geniuses and leaders in their field by taking control of their own thought processes. It is a well known fact that the same kind of treatment for addiction does not work for every individual. This is where NLP can be useful. NLP practitioners believe human beings have an extraordinary capacity for flexibility and there is nothing that happens mentally or spiritually they cannot learn to handle. So how can NLP be used in addiction treatment? NLP can be used by a counselor working with a client experiencing addiction issues, by families with a loved one overly involved with substances, or by an individual abusing drugs. There are 3 NLP strategies that can be used by a counselor, namely Building Rapport, Meta Models, and Outcome Specification. The foundation of Building Rapport is that when people are like each other, they like each other. The counselor and the individual must have this rapport. The most typical way of creating a rapport is by shared experiences. But there are other ways as well, like the NLP technique of matching and mirroring. For eg: matching physiology – When a counselor replicates the hand movements or posture of a client, an unconscious message is sent that they are alike. A basic principle of the Meta Model is that people are in pain because their representation of the world is impoverished. So, the goal of NLP is to connect the individual with the world in ways which give richer choices and challenge one’s limitations in thinking. When counseling an individual who presents addiction issues, two factors play a role in clearly understanding the problem. As the individual talks about their situation, the verbal description typically deletes a great deal of information. When gathering information, a counselor tends to draw on their own personal history in an attempt to understand what the individual is saying and to determine what further information needs to be gathered. There can be a tendency to distort information and add details which were not mentioned by the individual. If information is not gathered properly; the wrong problem may be solved. The Meta Model is a set of questions which allows the counselor to gather information specific to the individual’s experience and to gain a fuller representation of their perceptions. How will you know when you have it? What will be evidence of success? Where will the goal be relevant and/or irrelevant? What stops you from pursuing the goal wholeheartedly? What personal resources that you already possess can you draw up on to help you achieve this goal? What additional resources will you need in order to achieve the goal? How might the pursuit of the goal affect important people in your life? Is there any risk associated with achieving this goal? What are daily actions you will need to take in order to achieve your goal? What is the first step? Given everything you have considered to this point, is achieving the goal worth it?